Ultra-high frequency (UHF) 865-868 MHz is the ETSI standard frequency range used throughout the European Union and countries following EU standards. Ultra-high frequency (UHF) 865-868 MHz is the ETSI standard frequency span used all over Europe. It meets the standards of the European Union. 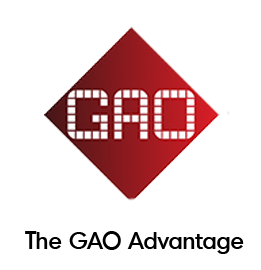 Gao’s UHF 865-858 MHz readers combine WCDMA (HSUPA) /EDGE/GSM/GPRS communications, integrated A-GPS and WLAN connectivities and also provide an option to communicate through TCP/IP, Wiegand 26/34, RS232/485 interfaces which can be altered. 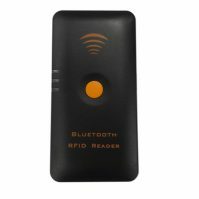 In addition, most of these readers present a variety of alternatives for data relocation to the host through Bluetooth or USB which enables effortless connection to devices like PDAs, laptops or smart phones. 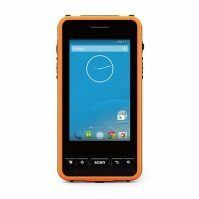 Some of our readers offer a 3.5 inches high definition touch screen display and a large memory capacity (256 MB RAM and up to 2 GB ROM Flash). 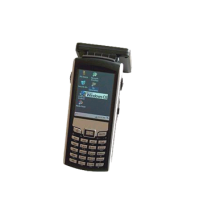 They are also provided with an SD/MMC card slot and a SIM card slot for data communication. 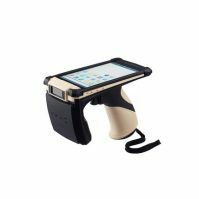 The portable readers bear multi-reader synchronization function, and also contain a pivot head to provide the best possible read rates regardless of tag alignment and make the device user-friendly (Dense Read Mode available). 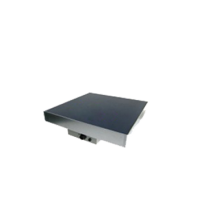 The mid-range UHF RFID readers utilize proficient digital signal processing algorithm and allow fast tag read/write operation with high identification rates. 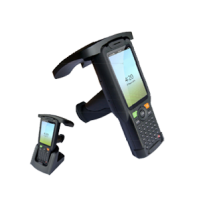 They possess a variety of characteristics, including RFID reading, barcode 1D/2D scanning, GPS location, and image acquisition operations. 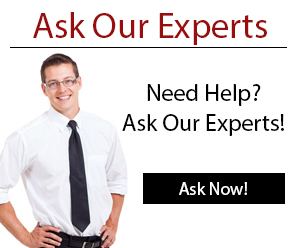 These readers meet both the ISO18000-6B and ISO18000-6C protocols. 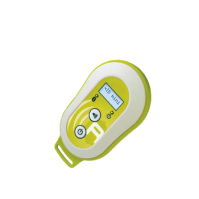 They offer low power consumption using a 9V DC power supply with a battery life of four years. A supplementary feature present on some of the readers is a built-in circularly polarized antenna (typically 12dBi) with an exceptional axial ratio to ensure excellent read zone control. 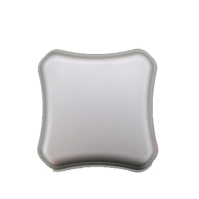 Furthermore the range of RF power is 0 to 30 dBm which is convertible via software. 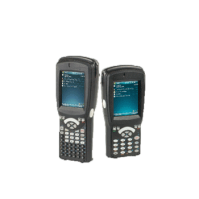 These are designed to be compatible with either Windows CE 5.0 or Windows Mobile 6.5 or Linux operating systems. 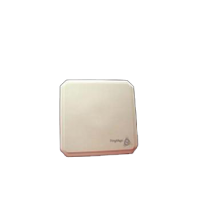 Applications of ultra-high frequency (UHF) 865-868 MHz readers include fixed asset management, asset tracking, vehicle inspection, outdoor patrolling vehicles, vehicle tracking, industrial production process control, logistic, inventory management, cargo tracking management, warehouse management, shop floor management, class management, anti-counterfeiting and access control, supply chain management. 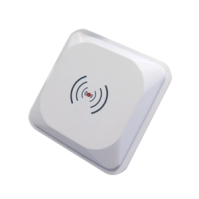 The integrated RFID readers can be used both indoors and outdoors and are commonly used in applications such as dock doors, parking lot gates, highway toll stations, livestock tracking, intelligent traffic management, custom clearance, container ports, and automatic weighing. 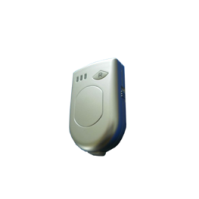 We offer a complete range of Gen 2 UHF 865-868 MHz readers to suit any business application. 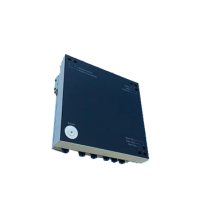 This UHF 4-port reader is compliant with ISO18000-6B and ISO18000-6C standards, communicates via multiple interfaces, and reads/writes up to 26.2 / 13.1 ft (8 / 4 m), respectively. 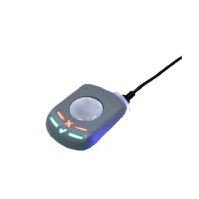 This built-in omni-directional UHF reader supports multiple protocols, multiple interfaces, a fast read/write speed, and a read range of up to 19.6 ft (6 m). 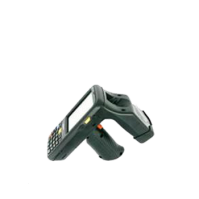 GAORFID 246029 is a high-end UHF Gen 2 RFID and Android Based UHF Gen 2 RFID Handheld Data Terminal. 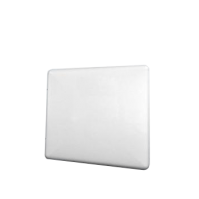 It offers the best performance and excellent multi-tag identification ability in the industry. 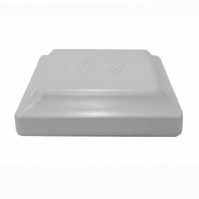 GAORFID 236041 is a high performance 4-Ports UHF Gen 2 RFID reader and writer which can be well adapted to the installation requirements for indoor or outdoor environments. 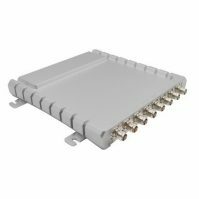 This UHF 4-port multi-regional flexible reader features a compact and lightweight enclosure with a read range of up to 16.4 ft (5 m). 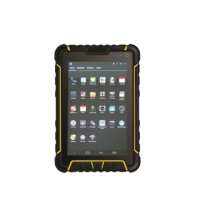 This rugged, powerful, multiple configuration capable (LF/HF/UHF) advanced Android tablet is IP67 rated, has an LCD screen capable of being read under sunlight, and has a long battery life. 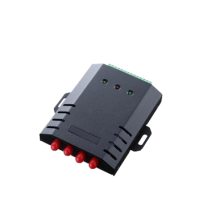 This 2-Port Industrial Reader is a very robust industry and railway approved RFID reader family. It is tested according the EN 50 155. All components are designed for a very long lifetime in harsh industrial environments. 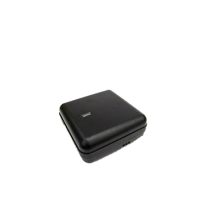 This 4-Port Industrial RFID reader is a high performance long range reader licensed according to ETSI, FCC, IC, SRRC (China) and Japan. 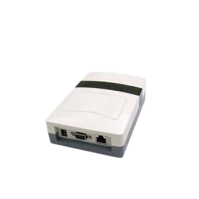 This Desktop PoE reader is a mid-range reader licensed according to ETSI, FCC and IC. 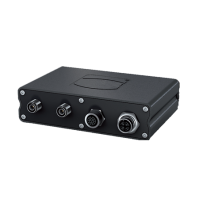 Due to its very compact design, it is best suited for integration in machines as well as office applications. 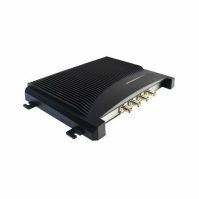 This UHF 16 port reader has a long range of up to 39 ft (12 m), is compliant with multiple communication interfaces, and provides 4 GPIO controls. 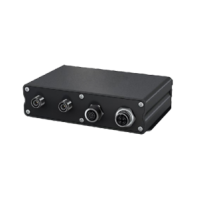 This global, versatile, and rugged integrated UHF reader provides a long reading range of up to 42.6 ft (13 m) with the availability of PoE and dense reader mode (DRM). 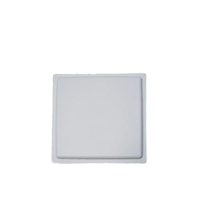 GAORFID 236042 is a high performance 8-Ports UHF Gen 2 RFID reader and writer which can be well adapted to the installation requirements for indoor or outdoor environments. 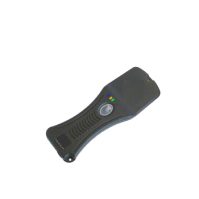 This handheld long reading distance RFID mobile terminal uses classic WinCE 6.0 operating system for compatibility across existing programs. 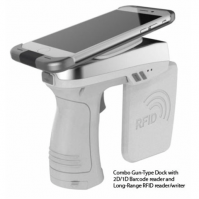 It provides RFID reading, barcode and 1D/2D scanning, GPS location, and image acquisition functions. 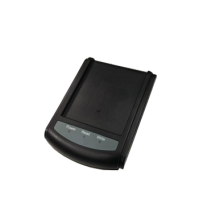 This rugged eight-port RFID reader features Bluetooth and WiFi interfaces, providing a reading distance of up to 49 feet (15m) and a writing distance of up to 26 feet (8m). 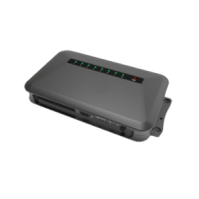 This rugged UHF 4-port reader has an IP52 rating, reads tags up to 30 ft (9 m), has optional Wi Fi connectivity, and can read up to 400 tags per second. 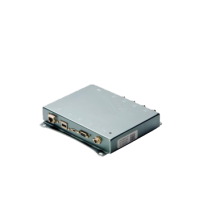 This UHF 4-port reader supports 4 bi-static antennas and uses a Freescale PowerPC CPU to run RFID applications with extremely fast processing. 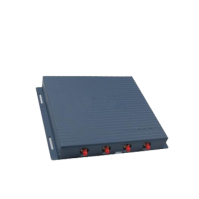 This UHF 4-port reader has a reading range of up to 39.4 ft (12 m), is powered via Ethernet, and has a high read rate of 300 tags per second. 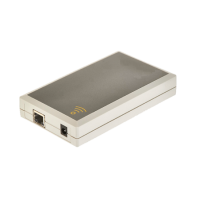 This global standalone UHF reader/writer has a built-in antenna that reads up to 1.64 ft (0.5 m) and includes a free SDK. 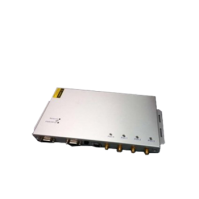 This global UHF fixed 4-port reader has an internal MicroSD slot, supports full network interfaces, and has optional wireless communication (GSM/GPRS and Wi Fi). 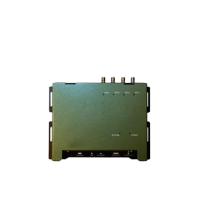 This global UHF 2 antenna port reader uses its Autopilot mode to sense and optimize its configuration for the best performance possible, supports PoE, and reads 300 tags per second. 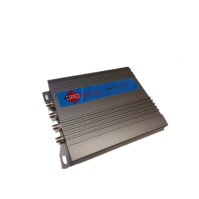 This UHF high performance integrated reader has 64 MB of DRAM memory, 32 MB of flash memory, and SSL / SSH-based security features. 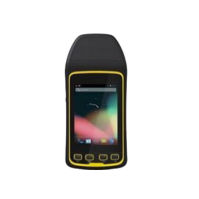 This universal UHF industrial-class fixed reader has 4 mono static built-in circularly polarized antenna ports, features simultaneous tag readings, and has an IP54 weatherproof enclosure. 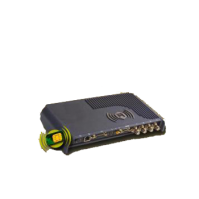 With built-in GPS functionality, this rugged UHF reader provides many connectivity options including 3G/GSM/GPRS and has a read range of up to 42.6 ft (13 m). 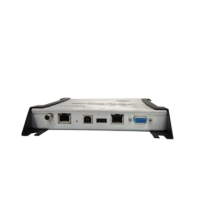 This global 4-port high performance UHF reader/writer supports PoE, enterprise-class management and monitoring, and reads up to 430 tags per second. 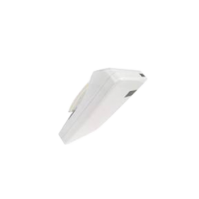 This UHF reader/writer with built-in antenna is suitable for warehouse, parking system, or manufacturing applications and can operate from 14 °F to 131 °F (-10 °C to 55 °C). 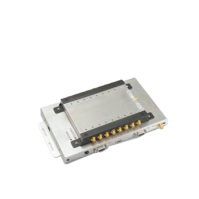 This standalone UHF reader has adjustable output power, supports global frequency standards, and is an excellent tool to aid in the testing and validating of applications. 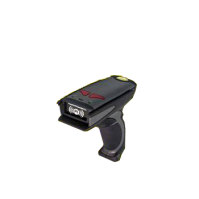 246028 Combo Gun-Type handheld device is a combination of a long-range UHF RFID Watt reader/writer as well as a 2D/1D Barcode scanner. 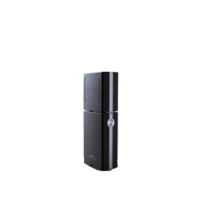 This UHF RFID integrated reader/writer operates under Linux OS for efficient expandability of a variety of customized applications. 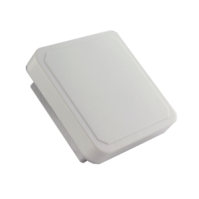 This UHF RFID integrated reader/writer has a 9dBi circular antenna built inside and provides a reading distance of up to 65 feet (20m) and is IP 66 rated for outdoor use. 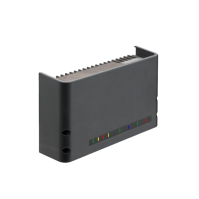 This low profile UHF xArray gateway reader provides always-on and wide-area monitoring, intelligent item locating, and updates inventory information with real-time location information, all without human intervention. 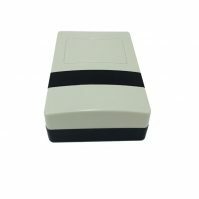 This robust industry and railway approved RFID reader offers bulk-reading capability and provides a maximum reading distance of up to 16.4 feet (5m) depending on the transponder type and environmental conditions.